With the rise of newfound hipsters and the return of ‘90s trends, necklaces are finding a spot in your bedside dresser. The trendiest of fashion gurus have put their necklaces aside and are wearing new statement pieces around their necks this spring. We have provided you with a look at the three most stylish trends in neck accessorizing this season. Chokers – Chokers add sass to any outfit. They can be layered with longer necklaces or additional chokers for extra style. Bandanas – Coachella takes street style. Bandanas have been on the rise for quite awhile now but people are continuing to innovate the trend. 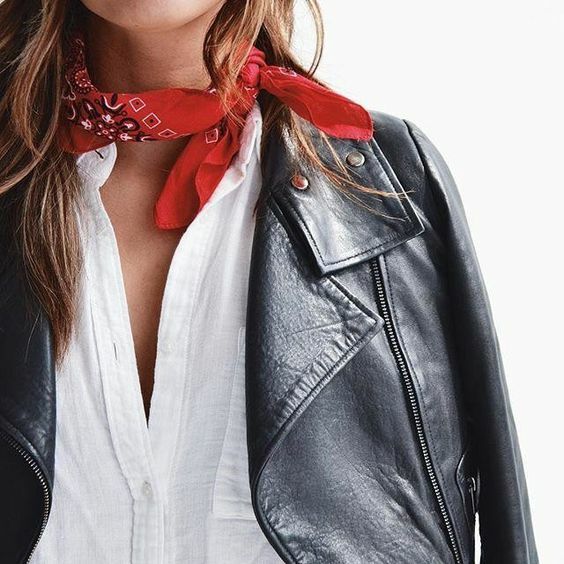 Bandanas may be worn in the old-school Western way for a more casual style, tied in the front for a very hipster style, or folded horizontally as a statement piece. Neck Scarves – Extreme chic. It no longer needs to be chilly to wear a scarf. This look is classy and elegant with zero-care flair.